230 pages | 5 Color Illus. | 10 B/W Illus. 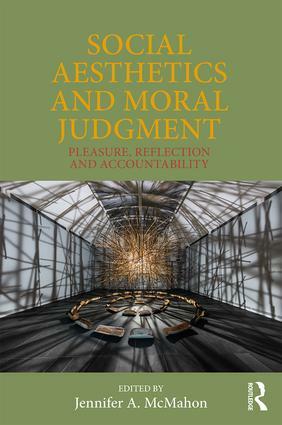 This edited collection sets forth a new understanding of aesthetic-moral judgment organized around three key concepts: pleasure, reflection, and accountability. The overarching theme is that art is not merely a representation or expression like any other, but that it promotes shared moral understanding and helps us engage in meaning-making. This volume offers an alternative to brain-centric and realist approaches to aesthetics. It features original essays from a number of leading philosophers of art, aesthetics, ethics, and perception, including Elizabeth Burns Coleman, Garrett Cullity, Cynthia A. Freeland, Ivan Gaskell, Paul Guyer, Jane Kneller, Keith Lehrer, Mohan Matthen, Jennifer A. McMahon, Bence Nanay, Nancy Sherman, and Robert Sinnerbrink. Part I of the book analyses the elements of aesthetic experience—pleasure, preference, and imagination—with the individual conceived as part of a particular cultural context and network of other minds. The chapters in Part II explain how it is possible for cultural learning to impact these elements through consensus building, an impulse to objectivity, emotional expression, and reflection. Finally, the chapters in Part III converge on the role of dissonance, difference, and diversity in promoting cultural understanding and advancement. Social Aesthetics and Moral Judgment will appeal to philosophers of art and aesthetics, as well as scholars in other disciplines interested in issues related to art and cultural exchange. Jennifer A. McMahon is Professor of Philosophy at the University of Adelaide, Australia. She is the author of Aesthetics and Material Beauty: Aesthetics Naturalized (2007) and Art and Ethics in a Material World: Kant’s Pragmatist Legacy (2014). She edited the inaugural issue of the Australasian Philosophical Review (March 2017) on 'The Pleasure of Art'.